These colourful and engaging stamps are readily available as a sheetlet of 10 stamps. 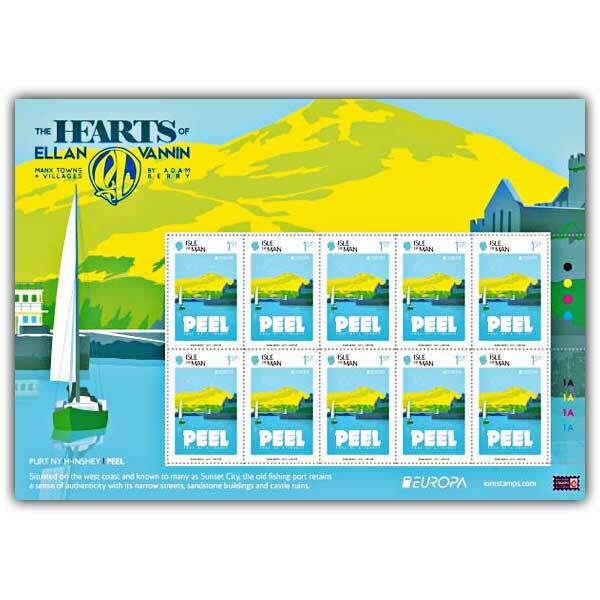 There is a sheetlet readily available for each of the Europa stamps for Peel and Castletown. These stamps are embeded in a landscape sheetlet with a surround featuring a bigger version of the design on the stamp. The sheetlets can be bought individually or as a set, and they are offered in mint condition or cancelled to order (CTO).